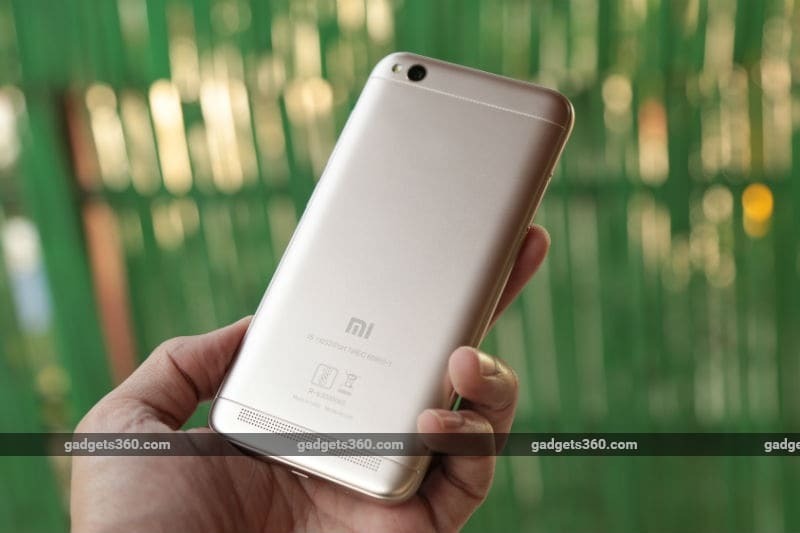 The Xiaomi Redmi 5A is touted as India's new "desh ka smartphone"
Xiaomi today refreshed its most affordable smartphone model, the Redmi 4A (Review), with a new generation. Touted as India's new "desh ka smartphone", the Redmi 5A is just as impressive in terms of specifications, bringing some serious firepower to the Rs. 5,999 price point. The ability to deliver solid specs at low prices has worked extremely well for the company so far, but now the big gimmick is essentially a massive company-sponsored subsidy on the first five million Redmi 5A units it sells, bringing the price down to Rs. 4,999. We've seen countless introductory offers before, but this one is undoubtedly going to cause a massive rush of prospective buyers when it goes on sale on December 7. While the introductory offer might overshadow the merits of the phone itself, we're more interested in the actual usage experience. Is the Xiaomi Redmi 5A truly capable of becoming a "desh ka smartphone"? We've been able to spend a little time with the device, and here are our first impressions. The very first thing that struck us about the Redmi 5A was how light it is. This phone feels almost insubstantial, weighing only 137g. It's all plastic and the body actually has a slight flex to it when twisted. We don't think that this is anything to worry about, but a protective case might be a good idea. The phone fits well in a hand, thanks to its 5-inch screen, and the rounded edges mask its 8.35mm thickness. We got our hands on a Gold unit, but Xiaomi also lists Dark Grey and Rose Gold as options (the latter isn't an option on Xiaomi's store page, so it might be introduced later). The finish on the rear is very plasticky, and there's no mistaking it for metal. The two gold options have white front faces, while they grey one looks more sober in black. On an interesting side note, the Redmi 5A's box is bright red and there's only a tiny Xiaomi logo in one corner - the company is emphasising Redmi itself as the primary brand. The screen is fairly crisp, given its size and 720x1280 resolution, but colours aren't all that vivid. There's quite a bit of plastic above and below the screen. Xiaomi has used non-backlit capacitive buttons for Android navigation, which isn't great but that's what we expect at this price level. The power and volume buttons are within easy reach on the right. On the left, there are two separate trays; one for just a Nano-SIM and the other for a second Nano-SIM as well as a separate microSD card. There's a Micro-USB port on the bottom of the Xiaomi Redmi 5A and an Infrared emitter on the top, and you get a preloaded app to remote control your appliances. The most interesting thing on the rear is the "Made in India" text. Other than that, there's a camera and flash in the top-left corner, and a large speaker grille across the bottom. The Redmi 5A runs MIUI 9, Xiaomi's custom UI. From the lockscreen, you can swipe right to quickly pull up the IR remote app, flashlight, and a Mi Home app which lets you control Xiaomi home appliances. The rest of MIUI is fairly pleasant, if you like single-layer UIs. There are some extraneous animations in lists and on app icons, but the phone didn't feel sluggish at all in our limited time with it. You get the ability to password-protect apps, run two instances of them with different accounts, and create a secure "Second Space" which is almost like having a second user account. Xiaomi has also preloaded Amazon Shopping, WPS Office, UC News, and the Microsoft Office and Skype apps, in addition to Google's usual ones. The Xiaomi Redmi 5A has a Qualcomm Snapdragon 425 processor, and either 2GB of RAM with 16GB of storage, or 3GB of RAM with 32GB of storage. You can add a microSD card of up to 128GB. There's a 13-megapixel rear camera and a 5-megapixel front camera, both of which take shots that look fairly decent on the phone's own screen. Xiaomi is pushing battery life as a major feature of this phone, but the battery capacity is a fairly average 3000mAh, so we'll have to wait to see how that works out. We'll have full camera and battery performance tests in our detailed review, plus lots more detail about the Redmi 5A coming up soon, so stay tuned to Gadgets 360. Is Xiaomi Redmi 5A truly 'desh ka smartphone'? We discussed this on Orbital, our weekly technology podcast. You can listen to it via Apple Podcasts or RSS or just listen to this episode by hitting the play button below. product The new Xiaomi Redmi 5A is sure to be a success thanks to its low price. Here's what you need to know before rushing to order one.